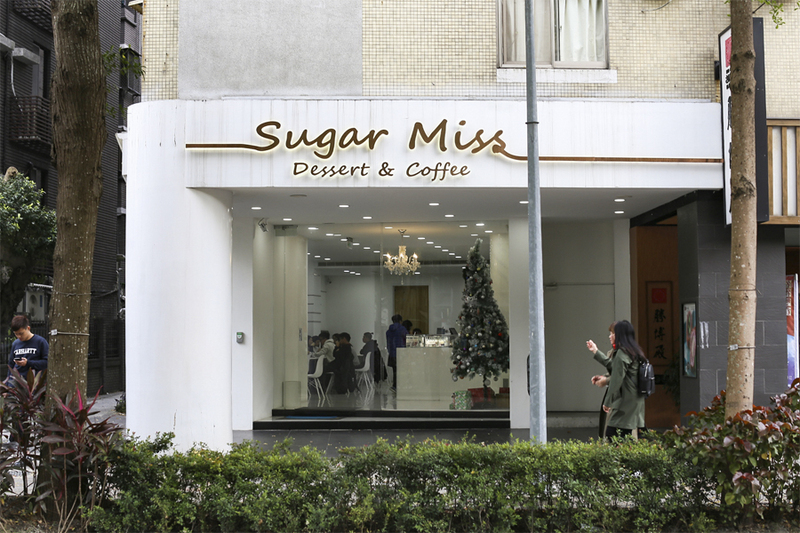 [Taipei] One of Taipei’s most instagrammable dessert café of late has to be Sugar Miss, with photos of their famed Marble Cube Cake trending in several social media feeds (at least the Chinese ones). 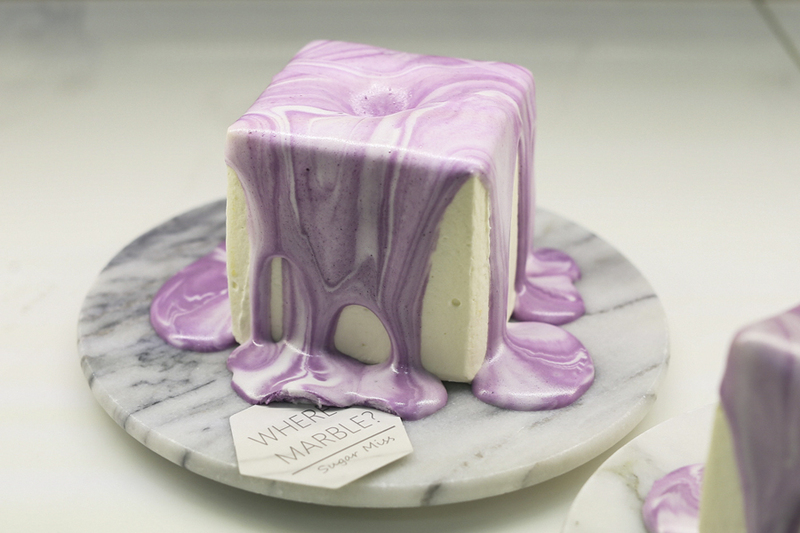 The Marble Cube Cakes come with varied fillings of matcha, raspberry and taro, available in very limited quantities. Each is priced about TWD240 – 265 (SGD10.80 – SGD11.90), considered on the higher side for Taiwan, though Singaporeans should be used to these prices for cakes. Do note there is a minimum expenditure of TWD200 required for each customer, which should be easily met as long as you get a drink. Reservations are recommended, as the café can get very popular during the weekends. As I arrived about 2pm, there were just 2 Marble Cube Cake left. 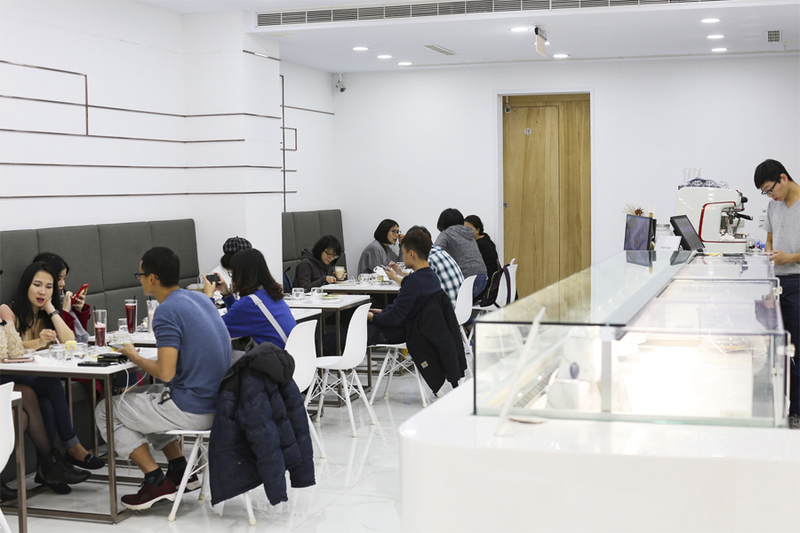 The décor looked rather “Lady M” – all clean, white with marbled tables, and ironically Lady M Taipei is just located a short distance away with a moderately long queue. 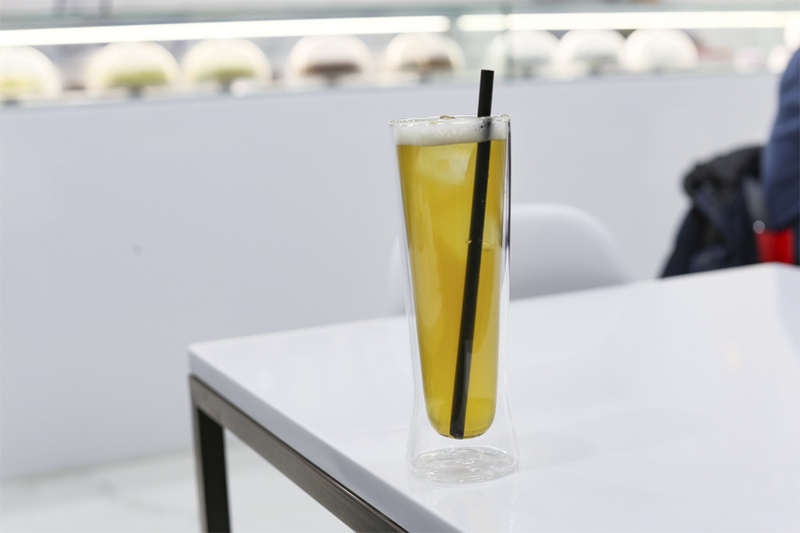 The entire vibes felt rather ‘cold’ though, without the extreme friendliness you see at other Taipei café places. 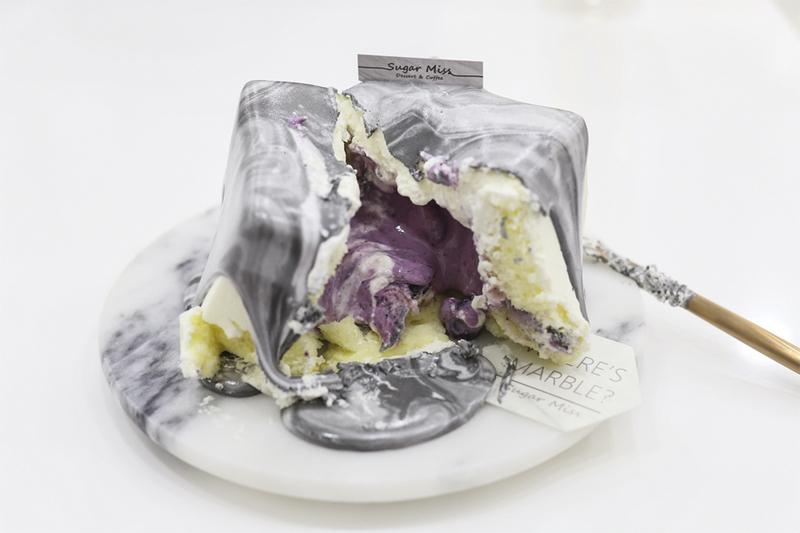 Other offerings included the best-selling Marble Cheese Cake (TWD190 per slice, SGD8.50), and Mille Crepe Cakes with flavours of Matcha Milk, Earl Grey, Valrhona Chocolate, Taro and Seasonal Fruit (TWD180 – 230, SGD8.00 – 10.30). 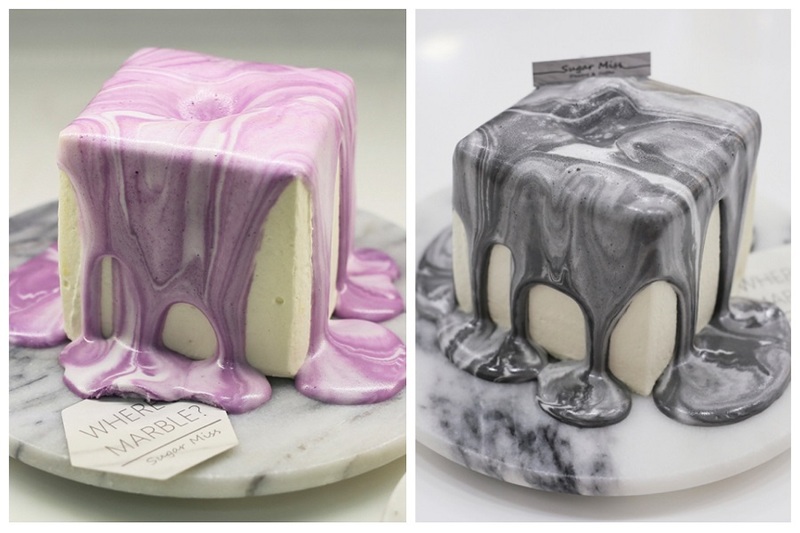 The Marble Cube Cake was certainly a good-looker, different from other conventional cakes, placed on a marbled plate on white table. This café certainly knows about how to get good lighting for optimal photos. Unfortunately, taste wise, it wasn’t the most impressive. It was OKAY. While the top molten layer looked melty, it was solidified and didn’t add much taste wise. Beneath was a chiffon layer and raspberry fillings that didn’t quite flow at all. 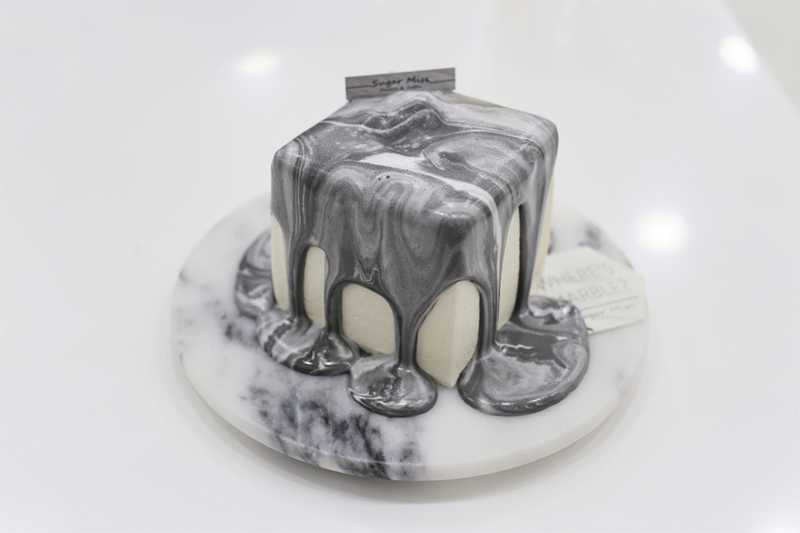 It was probably just this cake, as I have seen other versions with lava centres. Thankfully, it wasn’t that sweet and could pair well with some tea. For the gram. If you are café hopping, this area is full of other café and dessert places. Lady M, Gontran Cherrier, Craftholic Café, Street Churros… just to name a few, are around.